CHOOSE UP TO 6 DENOMINATIONS. The best of both worlds! 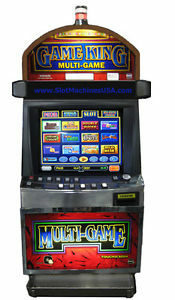 Bring Vegas slots, Keno, Blackjack, and Poker games right into your house. 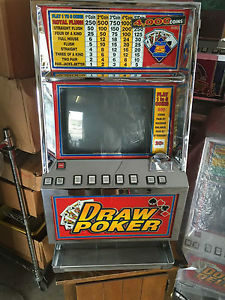 There are 77 games on this machine! Sure to be a game everyone will enjoy. We specialize in overseas container loads of gamekings. 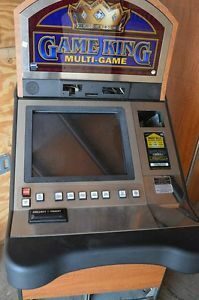 We can install coin gear as well. Ask about bulk buying discounts for overseas shipment. 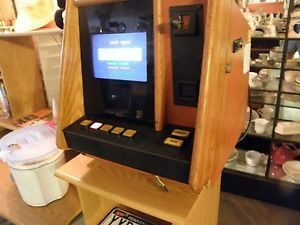 This machine may vary in appearance from the picture, our inventory changes daily. 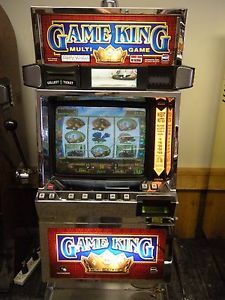 This a very popular casino game. 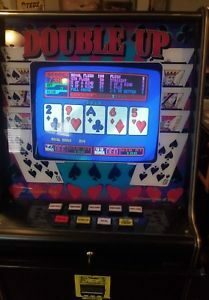 All our machines have gone through a 100 point inspection, machines cleaned, old glass panels replaced, new lithium battery installed on the computer board, old memory cleared on computer board, lights replaced and much more. You will also receive a barrel style door key and re set key to clear the jack pot. 8: 00 am est until 5: 00 pm est and on weekends. Our parts department has thousands of IGT parts, eproms, glass panels, reel strips, meters, pull arm mechs, computer boards, locks, light bulbs, hoppers and much more to service your machines. This machine runs on normal 110 V household current. The power cord will run out of the back of the machine. No special adaptor or wiring are needed. It is a good idea to plug the power cord into a power surge protector since there is a computer board inside this machine. We clear RAM memory on every computer board so that your machine will never freeze up because your CMOS eprom chip has its memory full. When you purchase one of our machines, the computer board is set just like it left the factory. Therefore the millions of millions of previous plays are not left on the memory. To the best of my knowledge no other re seller on eBay does this feature and without it, your machine could be dead in the water a few months after you purchase one. As they say, you get what you pay for. We are an industry leader, providing a one year warranty on parts and labor. 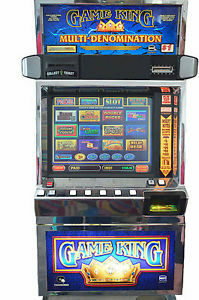 We have a staff of five gaming technicians on site to provide technical support, service or parts. An additional one year extended warranty is available. All our machines are professionally crated in a triple wall 600 pound test corrugated container, poly planked, foam injected and banded. 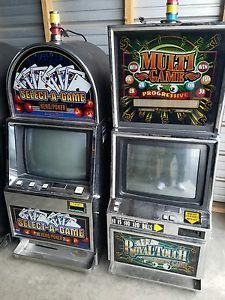 There is no crating charge for machines picked up. Call or e mail us for an accurate freight rate quote. We get a 72 % on several common carriers. The average delivery charges are from $ 175.00 to $ 250.00 depending on the location. NYC City and Long Island locations are delivered by local expeditors and rates can be slightly higher. Call for actual rates in these locations. If possible try to have your machine sent to a business address. On residential deliveries, the freight carrier will call the day before to arrange a 2 hour delivery window. Machines will not be dropped off unless someone is present to sign for it. The buyer can pre pay this delivery fee or we can ship freight collect.